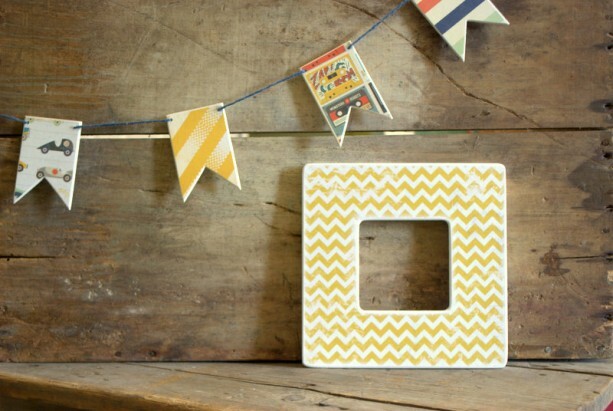 Modern Yellow Chevron picture frame will look wonderful in a baby's nursery, kids room, sun room, play room, living space, first apartment or a dorm! You can put it anywhere really. 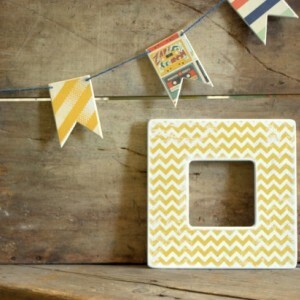 Please check out my other coordinating chevron picture frames! *Solid wood construction. *Hand painted in an antique white. *Corners have been rubbed and stained for a timeless look. 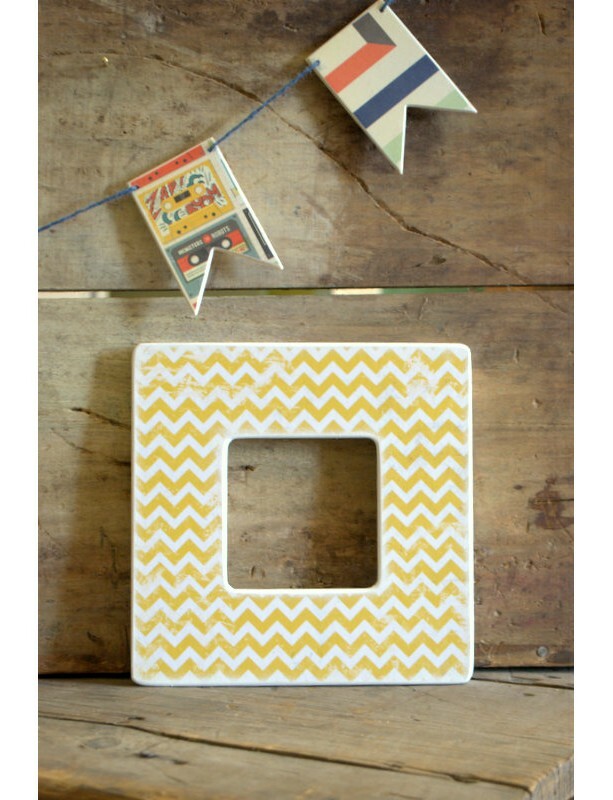 *Table top frame with single peg stand - can be wall mounted with proper hardware. 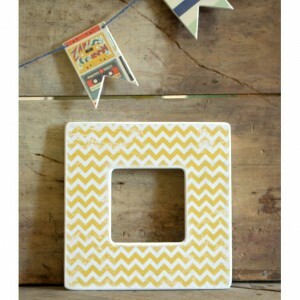 *8" x 8" frame 3.5" x 3.5" insert. **Now with an acetate insert to protect photo from damage!!!!!! *Finished in a matte acrylic glaze for extra protection. 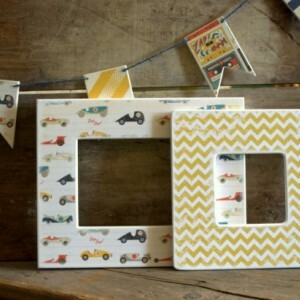 These frames would make a wonderful addition to any carnival themed - beach - bold and bright wedding. 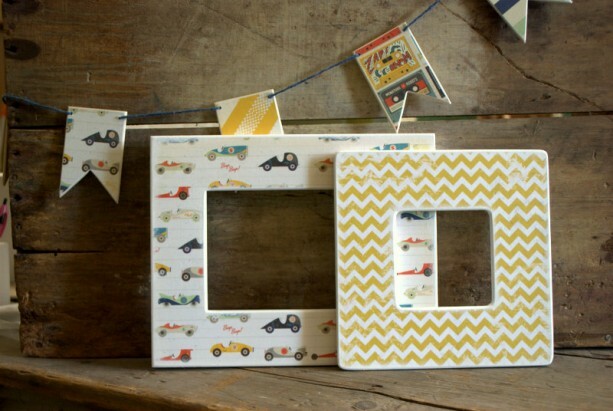 Bright, bold and chic these frames can be used for wedding signs, table numbers and personalized touch at the guests table. Need more and in different colors? No problem!! Please convo me with any special requests! I welcome custom orders too!! !